This challah cover is part of the Ronit Gur designer collection. 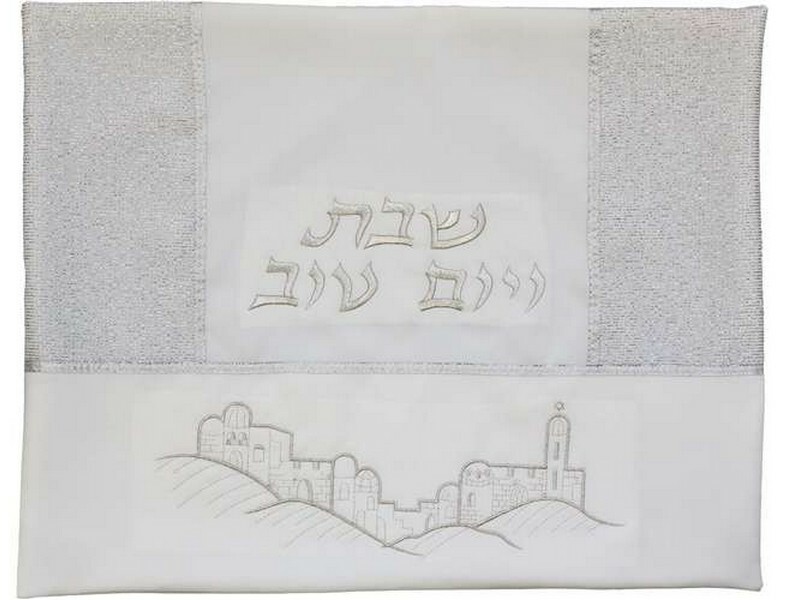 The cover is designed with the Hebrew words “Shabbat v’Yom Tov”, “Shabbat and Yom Tov”, embroidered in the middle of the top half, with different textures of the material on either side. The bottom half of is beautifully embroidered with a sketch of the Jerusalem skyline, surrounded by the Judean Hills. The challah cover is made from polyester material that is constructed to have the same look and feel as that of high quality silk.